MyPhone Rio Fun gets announced this week in Sky Ranch, Tagaytay. Dubbed as the latest smartphone for masses, this 2,995-peso worth device promises a lot of nifty features for everyone. Check out after the jump to know what the current value-for-money phone has to offer in the table. 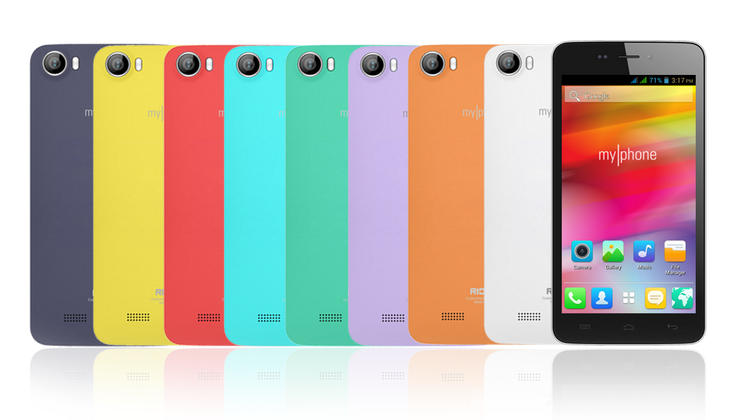 The MyPhone Rio Fun is nearing the phablet territory with its 5-inch screen real estate. Its TFT screen has a 480 x 854 resolution that sums up to 196 ppi pixel density. Under the hood, it boasts a 1.3-gigahertz dual-core processor and 512MB of RAM. Memory-wise, you’ll get a good space for you multimedia files with the 512MB on-board memory with an expansion option of up to 32GB through microSD slot. Technically, you'll have Android 4.2.2 Jelly Bean to run all your aesthetics. The only downside though is the 1800 mAh battery. On paper, it may not last long enough to drive the dual-core chip and the 5-inch screen but you'll always have the choice to get a Powerbank. The Rio Fun is only Php 2,995 afterall. Overall, the device is a good deal for those in the market for entry level phones with capable specs.